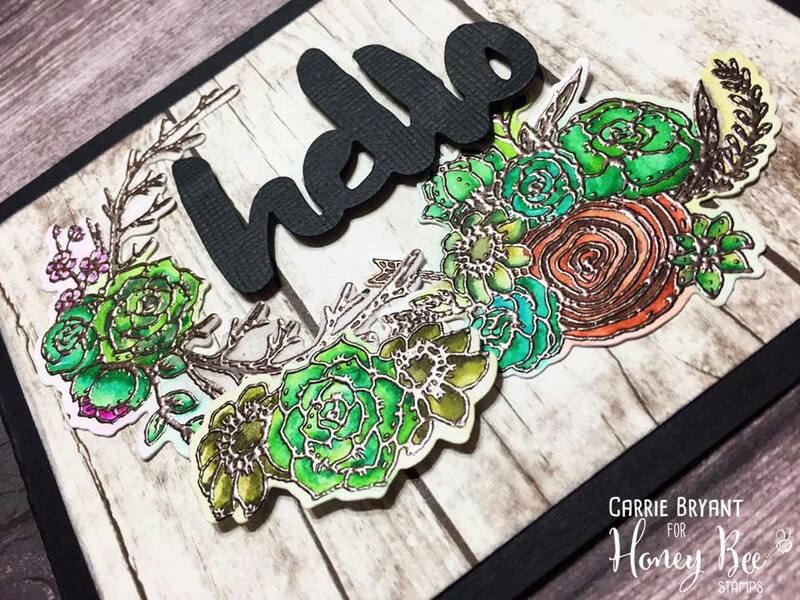 Hi it’s Carrie here to share with you today my latest card created using the “Hello Gorgeous” stamp set from Honey Bee Stamps. along with the Honey cut dies that match the set. This is one of my favorite sets from the latest release. So many possibilities with this fun stamp set. Succulents are the hot trend right now. When first looking at this set I see beautiful floral clusters and pretty wood rounds. But if you happen to color these florals in shades of green they look just like succulents. 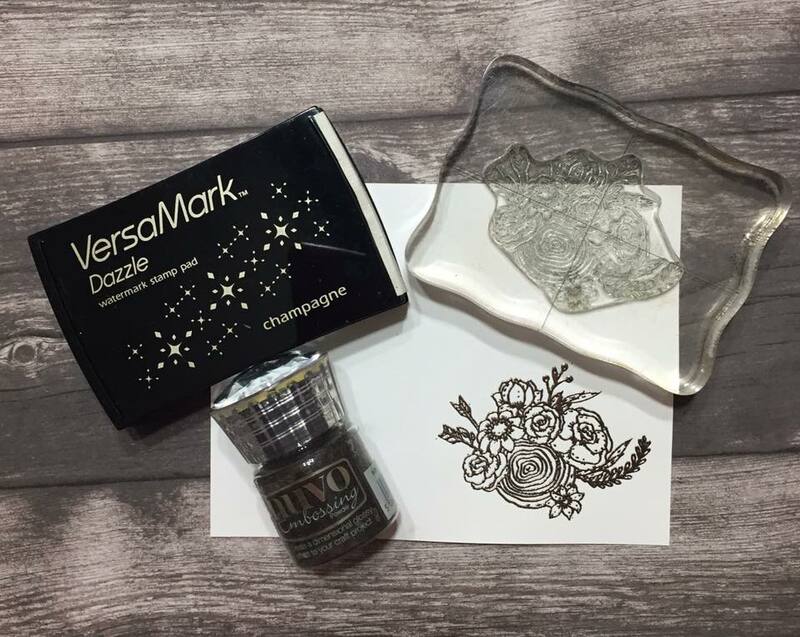 When creating this card I heat embossed my images using “Hot Chocolate” nuvo embossing powder by Tonic Studios. I love the raised outline that an embossed image creates for easy coloring. I colored my images with Zig Clean color brush pens. 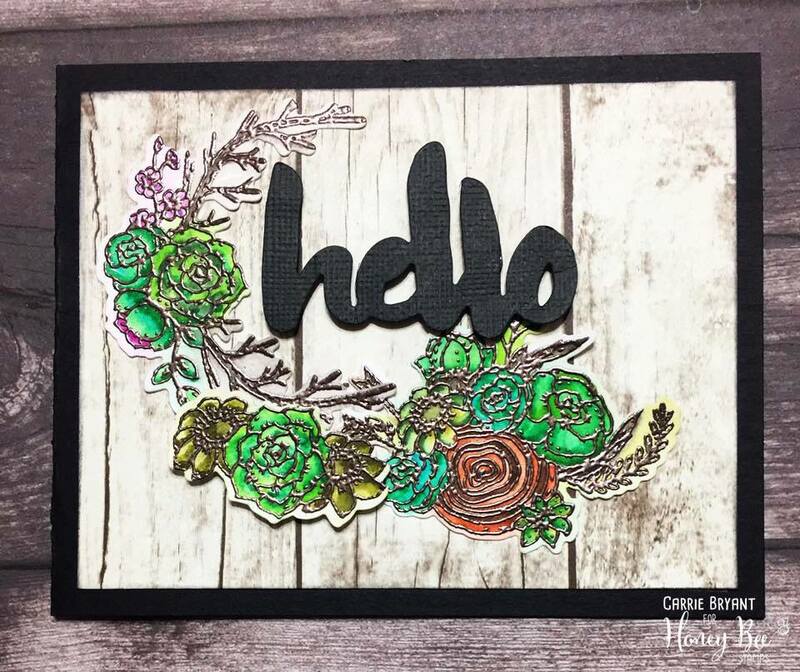 I Cut out the Hello sentiment using the matching die set and attached it using 3D foam squares adhesives. 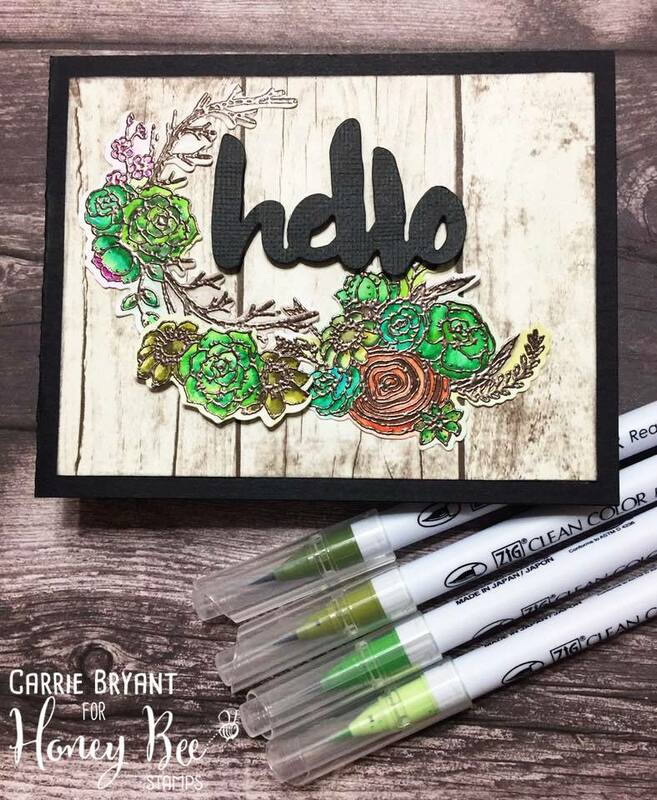 I hope my project helps you think outside the box when using your stamp sets.